This spring don’t be afraid of bright colors and monochrome colors. 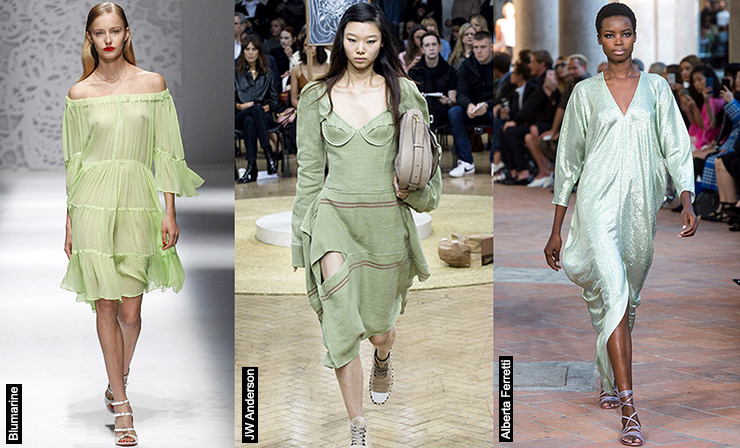 It’s time to try dressing in lime green which can be named as one of the main colors of the season. 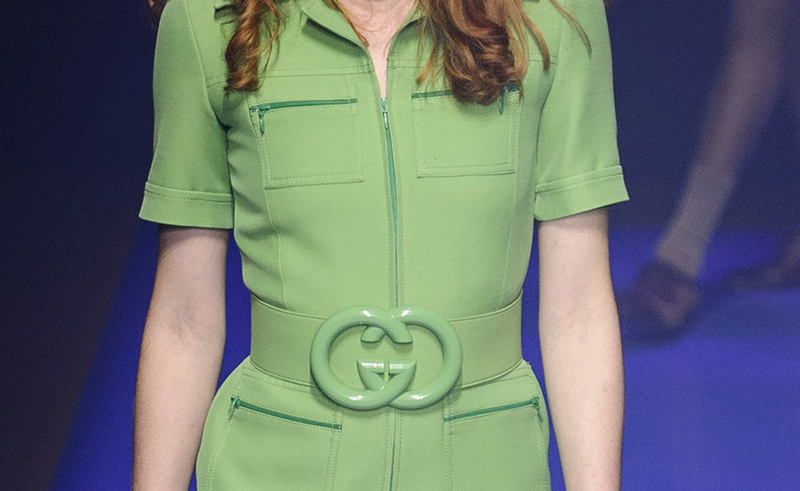 Your wardrobe needs to undergo an update along with the weather: remove the black down jacket away and get a gentle mint coat, a pistachio ice cream dress with drapery or at least a light green tweed jacket, as in the spring-summer Chanel show. Like an option, if after a long winter you are still frightened by everything that does not merge with the asphalt, you can make this color transition gradually. Try to wear a lime green silk blouse, hoodie or a short jacket, and all this will inspire you to step up to a greater change towards the spring colors. 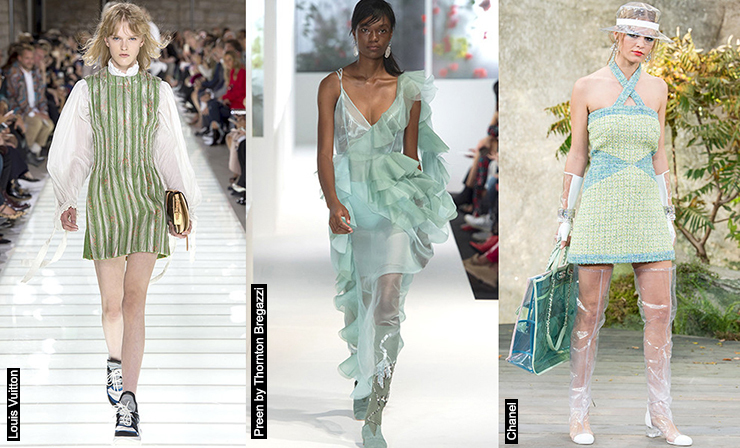 The Fashiongton Post’s favorites are bright Gucci overalls, asymmetric dresses with ruffles, as in the spring-summer collection of Preen by Thornton Bregazzi, and deconstructed jackets of the chemical shades of pop, as in the Balenciaga show. If you you feel the lack of vitamins or you’re just trying to shape yourself for summer by eating salads, we advise you to do a little bit more pleasant thing and go shopping for the varieties of clothes of a tender and light shades of green. Depending on your skin and the color of your hair and eyes, see what shades to add to your overall look, to make it a little bit warmer or colder. Confession of love for the green color can be clearly seen in the collections of Prada, Rejina Pyo, Louis Vuitton and many other designers, so keep it up!